From 20-24 November 2018 Bulegoa z/b will be running the workshop AUZOA. Ejercicios de desplazamiento as part of “Madrid 45. Programa de Artes Visuales” at El Águila, Madrid. AUZOA starts with the question “How do you study?”. Bulegoa z/b will be working in the workshop with Jesús Arpal Moya (artist) and Antonio García (member of Sociología Ordinaria, together with Elena Casado and Amparo Lasén). “Madrid 45. 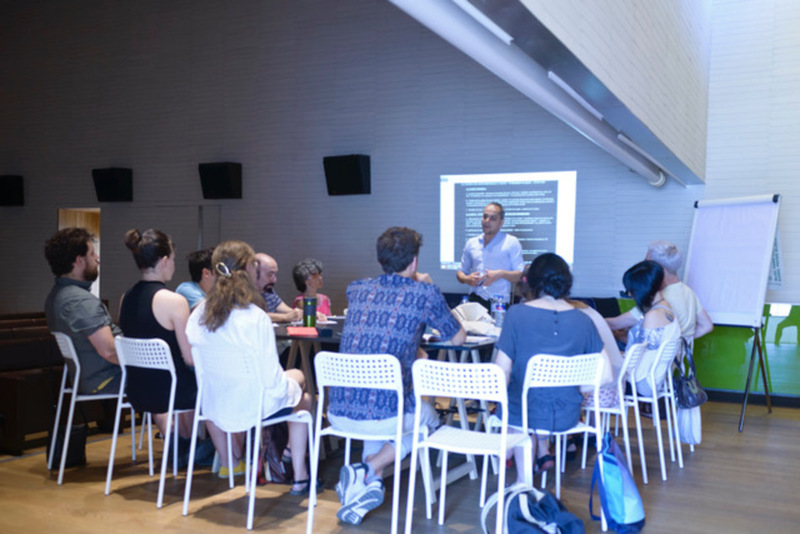 Programa de Artes Visuales” is an educational program run by the Comunidad de Madrid and directed by Bea Espejo in 2018.